Sy Montgomery and Elizabeth Marshall Thomas are pioneers in the field of animal writing, New York Times bestselling authors, and best friends. 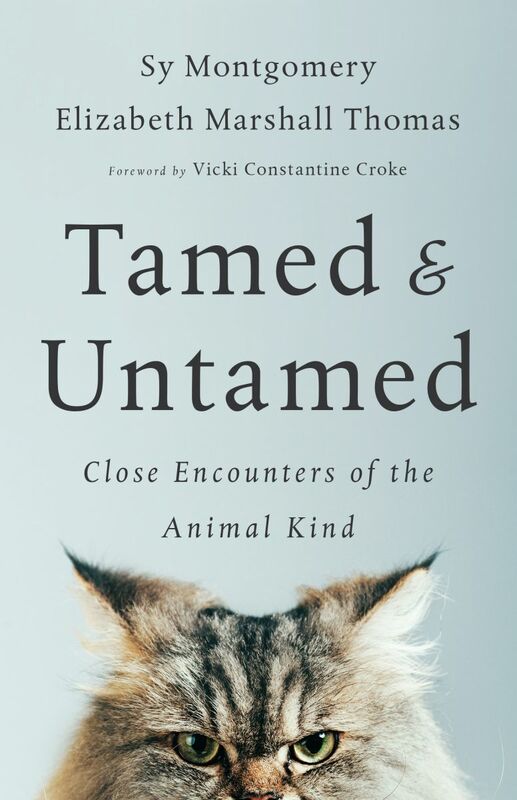 The following excerpt is from their book Tamed and Untamed: Close Encounters of the Animal Kind (Chelsea Green Publishing, 2017)—an engaging collection of essays that offer extraordinary insights into the minds, lives, and mysteries of animals. It is reprinted with permission from the publisher. They flash in front of flowers and feeders for seconds, wings a blur, and then whiz away. Next they’re back — but before you can gasp at the beauty, they’re off again. A glittering fragment of a rainbow; a flamingo comet; a living gem: All of these metaphors struggle to describe the evanescent magic of hummingbirds. But what they are doing when we don’t see them is more wondrous yet — as I discovered several years ago. Working with a licensed wildlife rehabilitator, Brenda Sherburn, one summer I was privileged to help to feed, raise, and release orphaned baby hummingbirds. Too often, people “rescue” baby hummers prematurely, Brenda told me. It’s rare to find a hummingbird nest, but if you do, back off, leave the babies alone, and, using binoculars to watch from a safe distance, observe the nest without looking away for at least twenty minutes. “So few people can just sit still and watch anything that long,” said Sherburn. But if you so much as blink, you could miss the mother’s return. A mother hummingbird leaves the nest from 10 to 110 times a day to find food for her nestlings. To survive, a hummingbird must consume the greatest amount of food per body weight of any vertebrate animal. A single bird may drink its own weight in a single visit to your feeder — and seconds later come back for more. That’s because a hummer breathes 250 times a minute. The resting heartbeat is 500 beats per minute, and the heart can rev to 1,500 a minute in flight. A film I watched claimed that a person as active as a hummingbird would need to consume 155,000 calories a day — and the body temperature would rise to 700°F and ignite! The food requirements mentioned above are for a single hummingbird. A mother caring for nestlings (there are usually two) needs even more. Lucky for us, Sherburn had access to a fine compost pile with plenty of fruit flies, and her husband, Russ, was willing to catch fresh ones for us every day. Each morning, when normal people were grinding coffee beans, Brenda would take out her mortar and pestle to grind ash-frozen fruit flies. Then she’d mix them with nectar, vitamins, enzymes, and oils. Because this food spoils easily, we had to make a fresh batch several times a day. From dawn to dusk we would deliver this to the babies’ gaping beaks — by syringe — every twenty minutes. Sherburn was one of a handful of specially trained and deeply committed wildlife rehabilitators qualified to do this. I was honored to help. But for these fragile nestlings, each moment was fraught with danger. Miss a feeding and the babies could starve. Worse, explained Sherburn, was what could happen if you fed them too much. “They can actually pop,” she told me. Hummingbirds are little more than bubbles wrapped in feathers. Our bodies are filled with organs; theirs are full of air sacs. Their feathers weigh more than their skeletons, and both their bones and their feathers are hollow. It’s hard to imagine anything more fragile. And yet our fragile orphans, like the hummers at your feeder, were born to conquer the sky. Sherburn lives in California, which boasts several species; as their feathers grew in, our babies revealed they were Allen’s hummingbirds. To impress a female, a male Allen’s performs a plunging flight that makes it the fastest bird for its size in the world. In terms of body lengths per second, it even bests the space shuttle! On the East Coast we have only the ruby-throated hummingbird, named for the flaming red throat patch on the males. These birds are equally spunky: Each fall they undertake a punishing migration across the Gulf of Mexico, which may demand twenty-one hours of nonstop flight. It’s shocking to realize that someone who hatches out of an egg the size of a navy bean is capable of such feats. But equally shocking is the gauntlet of dangers a hummingbird may face on an average day. Hawks, jays, squirrels, crows, even dragonflies eat them. They tangle in spiderwebs searching for insects (they also use the silk in their nests, to give them stretch as the nestlings grow). They fly into our windows; they’re hit by our cars; they’re poisoned by our pollutants. The most common reason for any bird’s admittance to wildlife rehab is also our fault. It’s abbreviated on forms as CBC: caught by cat. And yet we can help. Put out a feeder. Plant nectar-rich flowers. Keep a compost pile. Support a wildlife rehab center. Reasoning that surely a bird so tiny with feathers so brilliant must be born anew each day, the Spaniards who first encountered South America’s hummingbirds called them “resurrection birds.” This names the gift these birds offered us that summer, with each fleeting glimpse. They force us to see the world made new each time, and teach us to believe in ordinary miracles. The above is excerpted from Tamed and Untamed: Close Encounters of the Animal Kind with permission of the publishers, Chelsea Green Publishing, publishers of renewable energy, sustainable living, organic gardening, and progressive books since 1984. 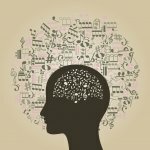 If a design doesn't feel good in your heart, what the mind thinks doesn't matter.